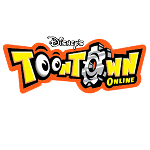 Our collection of games like Toontown Online offers some of the most popular online role playing experiences for children and teens. Toontown Online started in 2003 and rapidly grew in popularity thanks to its mixture of action packed gameplay and social features designed for children and teenagers. The game was a hit for gamers of all ages though and not just the children that the game was originally created for. Unfortunately Toontown Online shut down in September 2013 after over a decade of success, leaving many long time fans seeking a similar gameplay and social experience. In Toontown Online players could explore an impressive virtual world and chat with other players while battling the evil Cogs. In order to fight the Cogs players had to master the art of laughter and attack Cogs with a variety of gags through turn based combat. In addition to combat players could take part in a huge number of side activities at certain locations including golf, racing, gardening and even fishing. The games like Toontown Online here all focus on providing a similar gameplay experience. In these games you’ll battle against evil foes and befriend other players in safe online virtual environments. With simple game mechanics these MMO titles similar to Toontown Online are easy to learn and ideal for younger gamers.